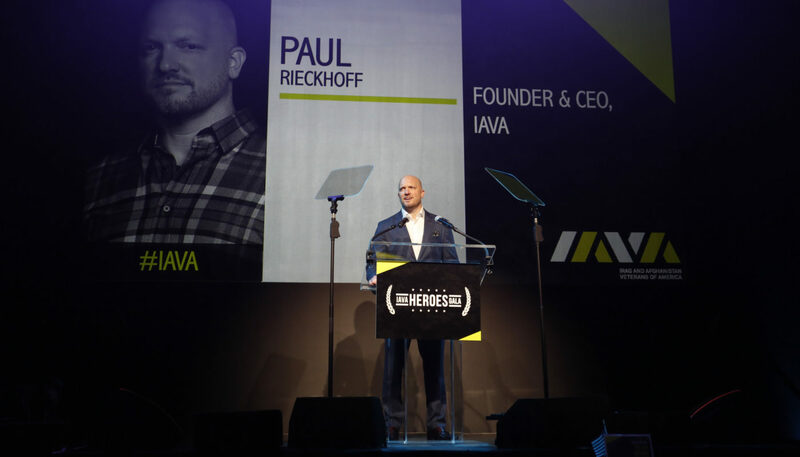 New York, NY (April 2, 2019) – Cadence13, a leading premium podcast company, today announced a partnership with Paul Rieckhoff—America’s leading veterans advocate, the author of Chasing Ghosts and founder of Iraq and Afghanistan Veterans of America (IAVA)—and Righteous Media, the newly formed company of which Rieckhoff is President and Founder. This innovative partnership will kick off with Angry Americans, a groundbreaking new podcast hosted by Rieckhoff. In the weekly series, Rieckhoff—who emerged as one of the most dynamic political and social leaders in America after serving as soldier in Iraq in 2004—will explore the most important issues facing our country with a wide range of influential and compelling guests from Capitol Hill to Hollywood to Silicon Valley. Like many Americans, Rieckhoff is deeply concerned about the state of affairs in our country. It’s got him angry—and knows that he’s not alone. The state of politics in our country is making us all Angry Americans. But it’s righteous, justifiable, vigilant anger. An anger that drives positive change. The anger that drove the Civil Rights movement and inspires people of all generations to raise their voices and unrelentingly strive for change. In times of national distress, it’s our anger that can unite and inspire us all, no matter our political leanings. Rieckhoff’s life as a politically independent leader uniquely positions him to lead this program and the broader national conversation about America’s future. Angry Americans will launch on April 4, 2019 on Apple Podcasts, Radio.com and wherever podcasts are available. Listen to the trailer and subscribe here:https://itunes.apple.com/us/podcast/angry-americans/id1457899667?mt=2. Rieckhoff will be joined on the first episode of Angry Americans by Willie Geist, co-anchor of MSNBC’s Morning Joe and anchor of NBC’s Sunday Today show. Rieckhoff, the author of Chasing Ghosts and the forthcoming How to Fight, is a frequent contributor to The Rachel Maddow Show, Morning Joe, CNN New Day, CNN.com, and Defense One. Maddow recently said that he had “absolutely changed US history.” Since returning from a combat tour in Iraq in 2004, Rieckhoff has emerged as one of the most important, unique and dynamic political and social leaders in America. From the harrowing vortex of urban combat in Iraq, to the blood-sport of American politics, to the trench fights of cable TV news media, Rieckhoff has thrown and taken punches on the front lines of the most important issues of our times. He is currently serving as the regular guest host for Chris Cuomo’s SiriusXM show “Let’s Get After It” and lives in New York City with his wife Lauren and their two sons. Download the cover art for Angry Americans here: https://we.tl/t-tC8XtklA0n.